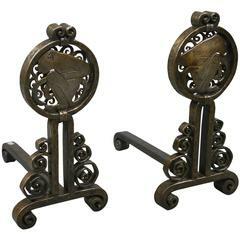 Pair of wrought iron andirons, each featuring a round medallion depicting a crouching monkey, raised on a base with scrolls in varying sizes. 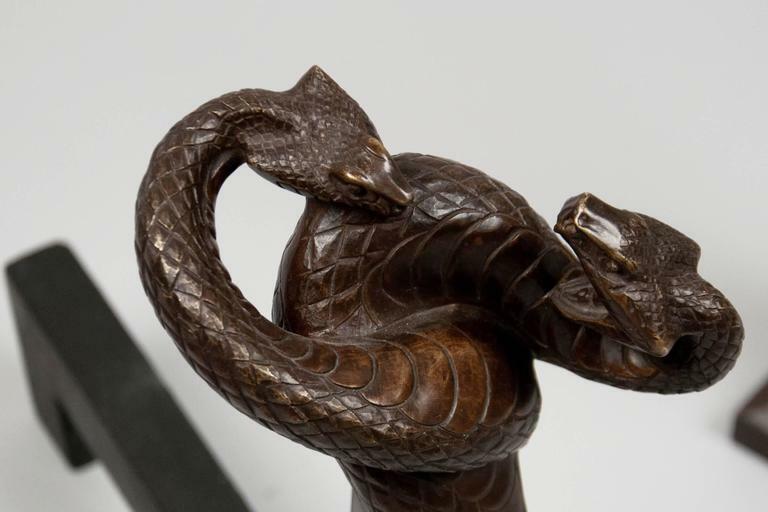 One andiron marked “E Brandt”. 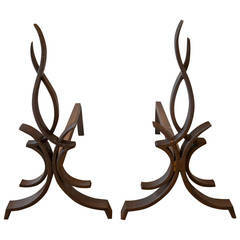 Nickelled metal spiral-form andirons, featuring iron bases and bars. 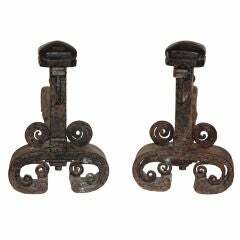 Pair of wrought iron Andirons by Edgar Brandt, circa 1925, marked &quot;E.Brandt&quot; on the front leg figuring a stylized scrolling decor. 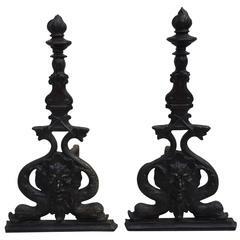 Pair of massive andirons, circa 1920 A pair of hammered wrought iron andirons, decorated with pinnacles and scrolls. Signed. 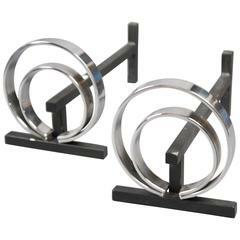 Measures: H 80 cm (H 31.5 in). 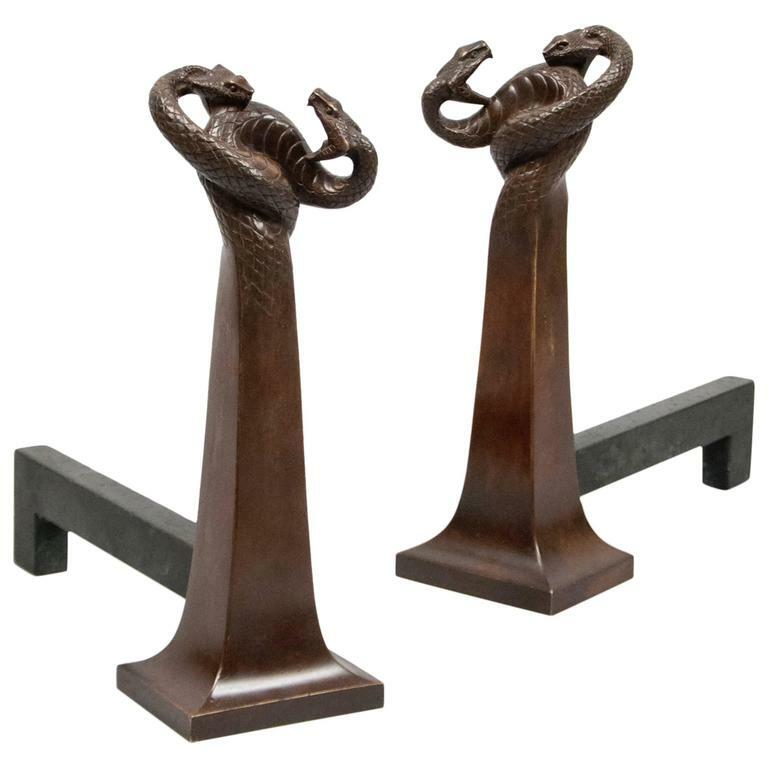 Edgar Brandt style antique French bronze Poseidon dolphin andirons, with twisted iron log arms. 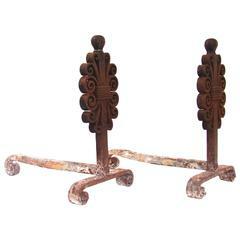 An unusual pair of French andirons in the Art-Nouveau style, wrought iron. 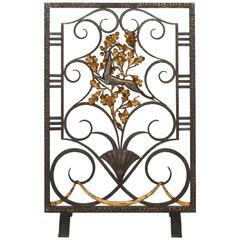 Wrought iron fire screen by Edgar Brandt. 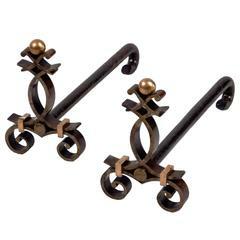 Black patina with gilded accents. 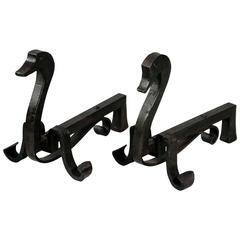 Measures: Height: 32&quot;, width: 22&quot;, depth 9&quot;.